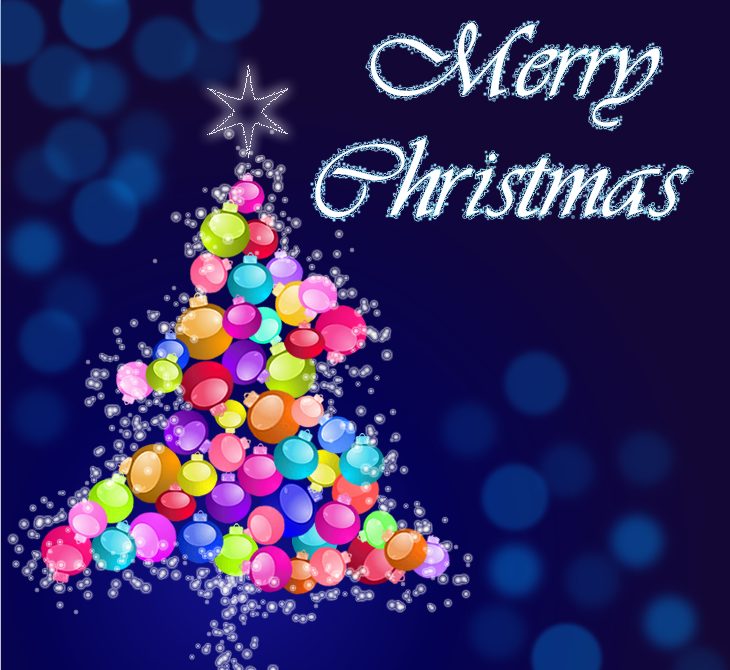 In this tutorial you will learn how to a create colorful baubles, a Christmas tree and finally a beautiful Christmas card design with bokeh effects. 1. Create a new document in Adobe Fireworks with the size of 730px by 630px. 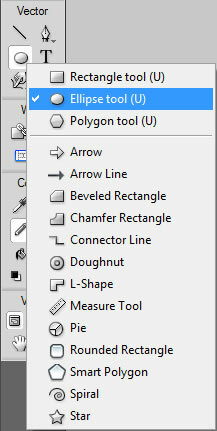 Draw a rectangle using the "Rectangle Tool" to cover the entire canvas area. 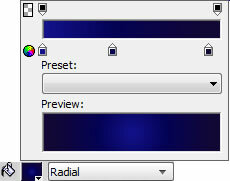 Then select it, and change the color mode to Radial as shown in the image below. 2. Now lets create the Christmas bauble. 3. 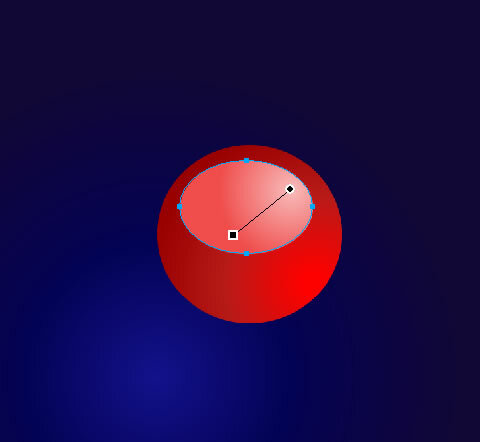 Draw a circle for the bauble using the "Ellipse Tool (U)" and fill it with radial gradient color as below. 4. 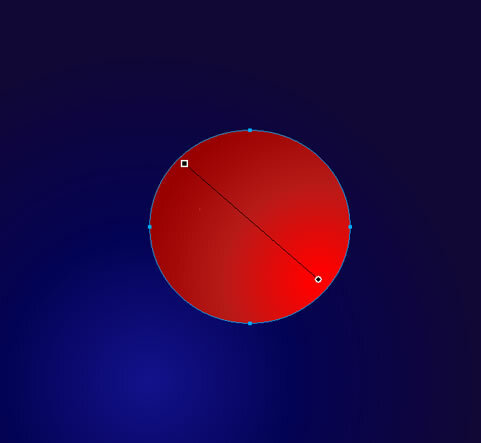 Now create an ellipse smaller than the circle by using "Ellipse Tool (U)", then apply radial gradient color(i.e, lighter red). 5. Fill this new tiny ellipse with the solid light red color "#F47777" instead of the gradient color to form a shiny effect. 6. 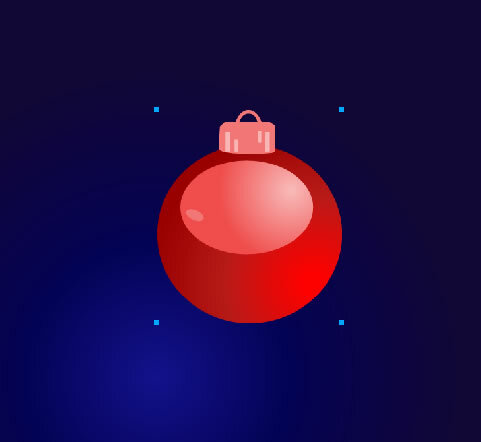 Now we must draw the bauble support element on top of it, use the Rounded Rectangle Tool (U)" to draw the rounded rectangle and choose the Pen Tool (P) to correct on its shapes as below. 7. 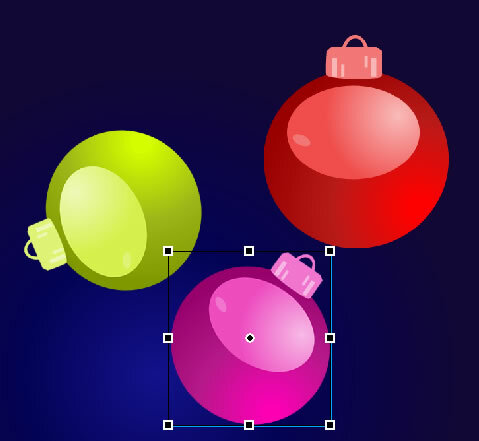 Similarly using the Pen Tool (P) adjust the points and create the ring of the bauble as below. 8. 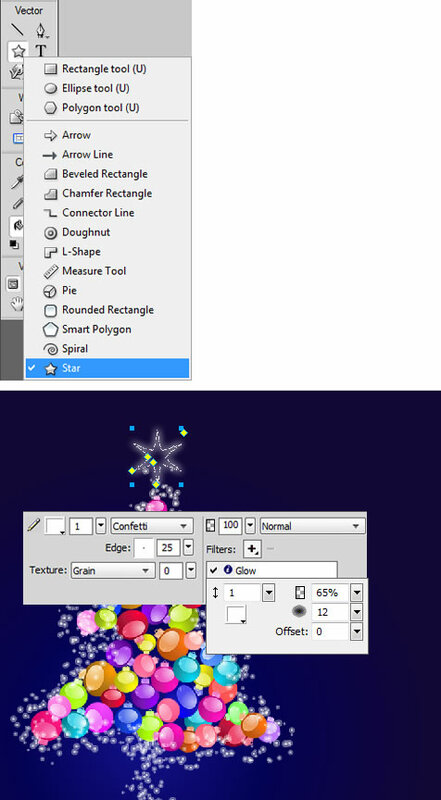 Select now the Rectangle Tool (U) to draw the shaded part of the top bauble. Make 4 copies of the rectangle and select Free Transform (Ctrl+T) option to change the copies sizes and place them as below. Draw 4 rectangles and position them one below other. 9. Now go to Modify > Group or press "CTRL + G" to group all the elements of the bauble. Yes, We have done the Christmas bauble. 10. 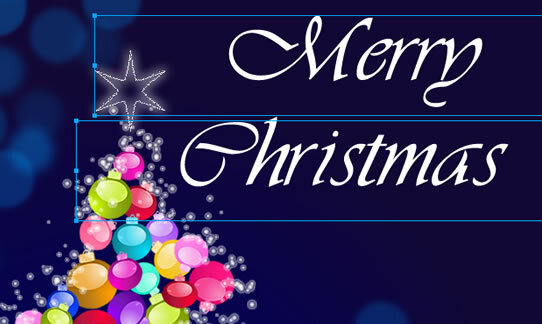 Here we are going to teach how to create multiple Christmas bauble with various color & size. 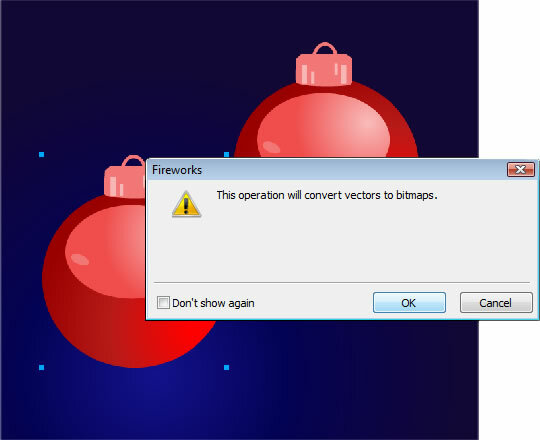 First duplicate the created Christmas bauble element (i.e, Ctrl + C for copy and Ctrl + V for paste). 11. 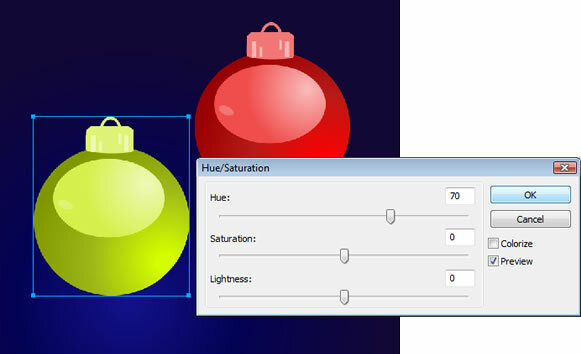 We can change the color of the Christmas bauble element manually by changing the gradient color else to get your desired color go to Filters > Adjust Color > Hue/Saturation and adjust/modify the values as shown in the image below. Note: If you are changing the color of a vector object using Hue/Saturation, Then the vector object will convert into "Bitmap"
12. 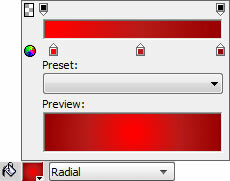 Duplicate it and make a free transformation with the Scale Tool (Q) and Hue/Saturation. 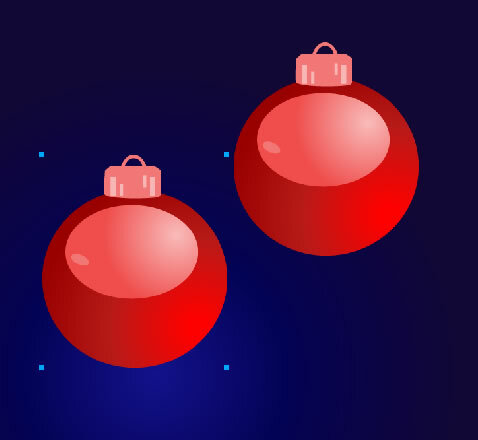 You can make different combinations of Christmas bauble with different sizes and colors using these tools to your preference. 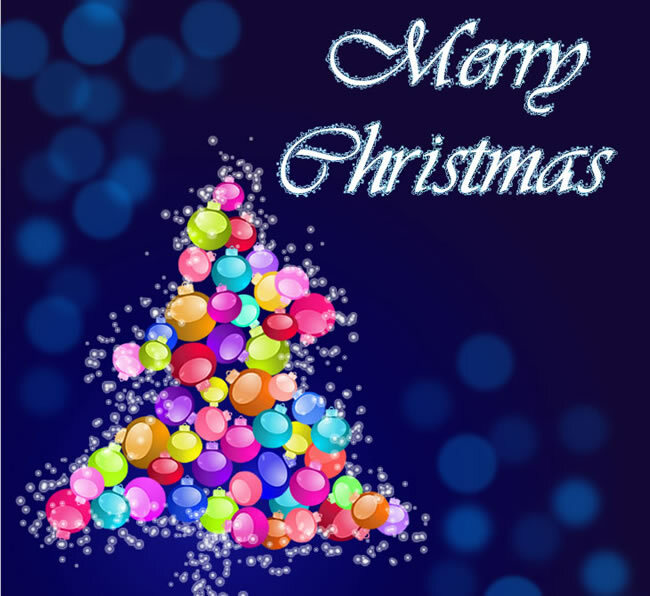 OK, now you have done the Christmas bauble with variation of size & color to fit inside the Christmas tree. 13. Next, we’ll create a Christmas tree. 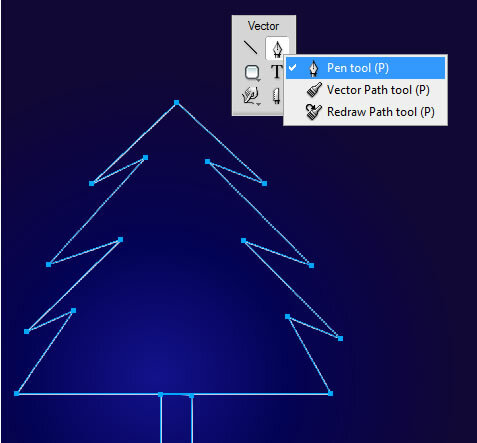 Select now the Pen Tool (P) and try to draw the outline of a Christmas tree. 14. We are getting close to the Christmas tree shape. 15. 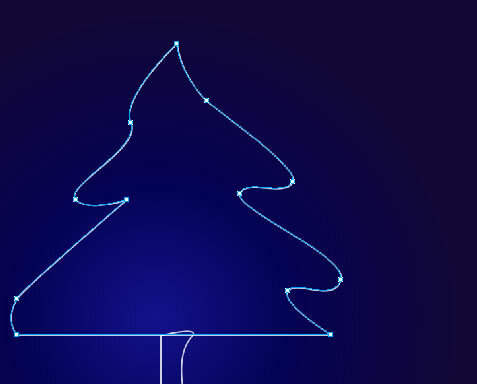 Adjust the outline of the tree using the Pen Tool (P) to form a Christmas tree, like on the below image. Use your creativity and imagination here. 16. 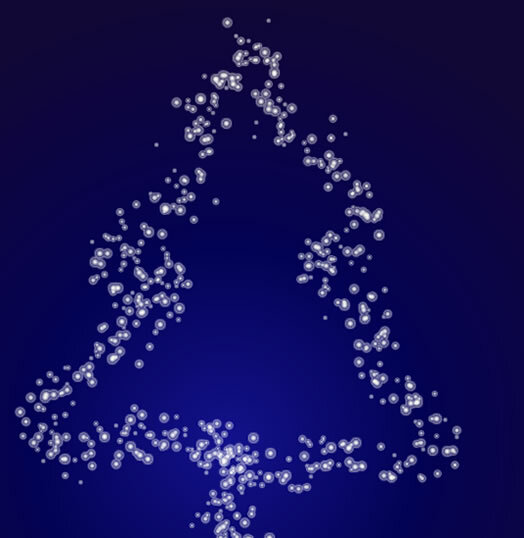 Select the outline of the Christmas tree and change the "stroke/ Tip size" into 12px. 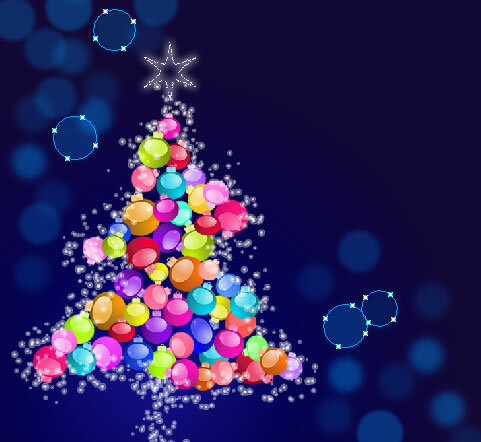 And also change the "Stroke Category" into "Paint Splatter"
Hence using the above technique we got the look of the the Christmas tree as below. 17. 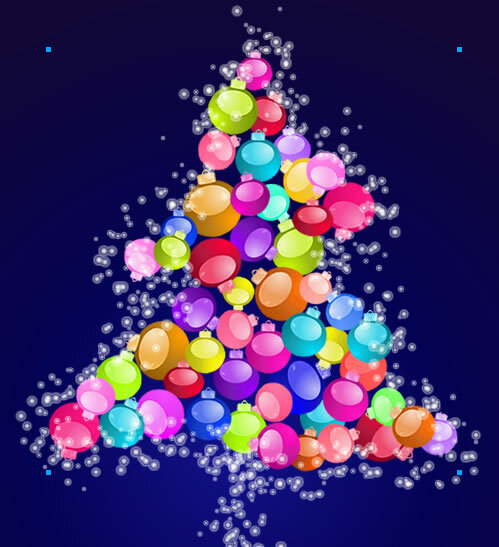 Make several copies of the Christmas bauble with different size & colors, spread them and fill them inside the Christmas tree inside space. You don’t need to place them exactly as shown in the image. 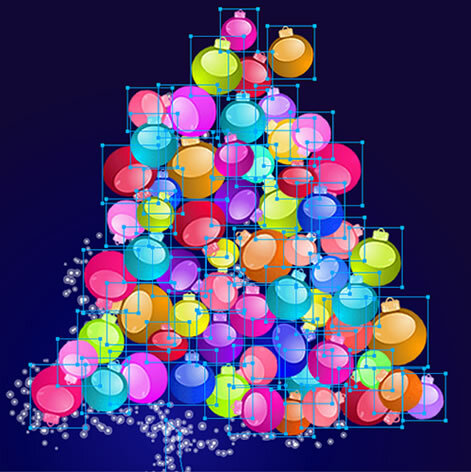 Group all the Christmas bauble shape objects by "Ctrl + G" and paste them inside the Christmas tree by "Ctrl + Shift + V"
19. 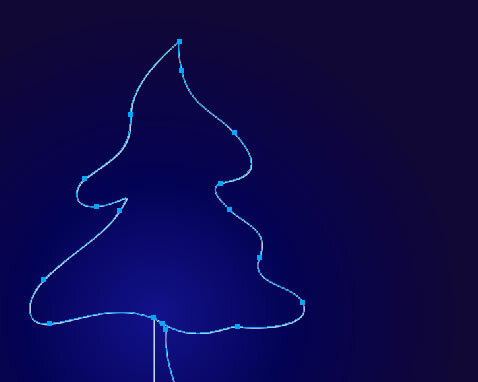 One star should be placed on the Christmas tree’s top, draw a star by using the "star tool" from the Tool Panel. Now change the "Stroke Category" into "Confetti" and select"Outer Glow" with the below Values. 20. Let’s add the Bokeh Effect here. 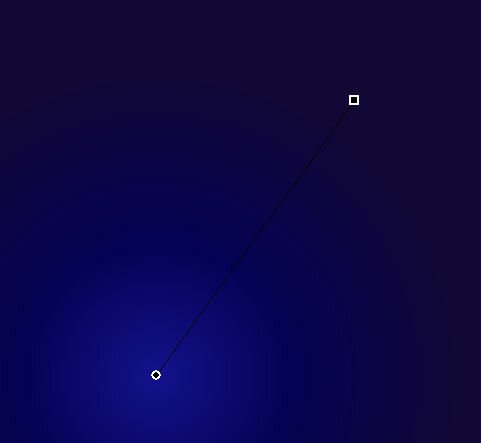 Create some blue color circles in our canvas, as in the image below. Select those circles, and go to Filters > Blur > Gaussian Blur and also give them different Opacity value. Then configure as show in the image below or as you prefer. Finally, We have got a Christmas tree with wonderful Bokeh effect. 22. 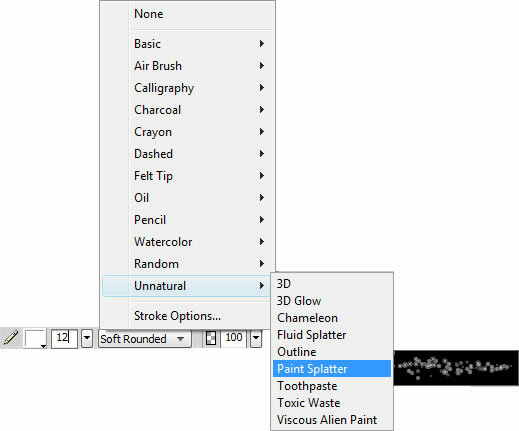 Select the typed text and fill the stroke color as #9FECFF, next go and change the "Stroke Category" into "Fluid Splatter". 23. 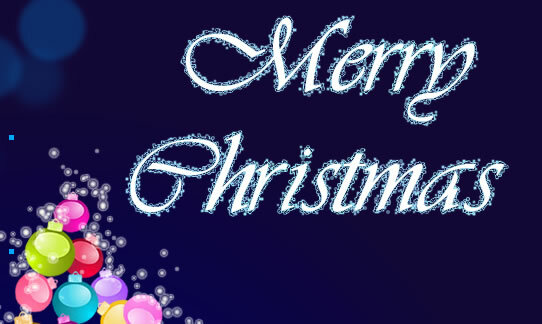 Finally, You’re done with your colorful Christmas card! Hope you like the tutorial and learned some new techniques!